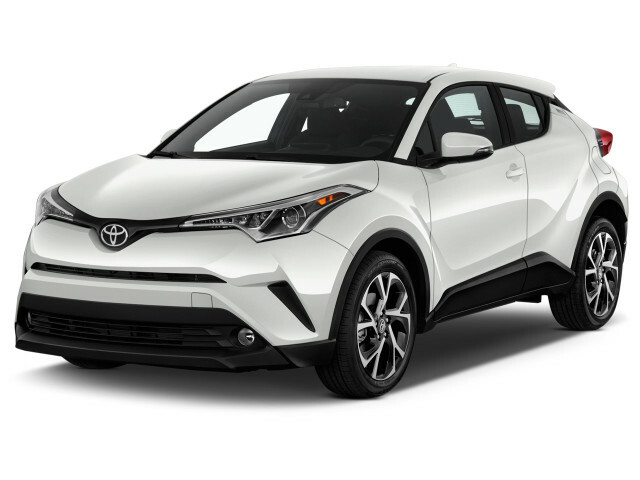 The Toyota C-HR is a small crossover SUV with funky looks and a tall ride height, but not all-wheel drive. It's meant to compete against offerings from Honda and Subaru, which both offer available all-wheel drive. The C-HR joins three other small hatchbacks in the Toyota lineup: the smaller Yaris, the fuel-efficient Prius C, and the compact Corolla iM that was also once a Scion. The C-HR has an adventurous design, one that goes head-to-head with the conceptually similar Nissan Juke in its audacious looks. Its shape isn't one that is digested on one glance: its curves, crests, slits, and upkicks take a while to process. Animal-like jowls and cat-eye lamps flow into fenders that wrap themselves tightly around its wheel wells. The sills and side stampings impress a deep skeletal shape into the sideview. The roofline slopes and the rear pillar turns up—and they meet at the rear door handles, which work fine despite their unusual location. 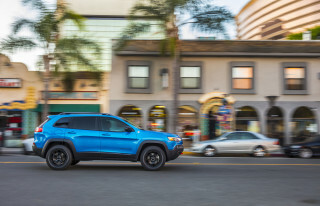 The taillights bracket a tall rear end, where the busy sheet metal in the three-quarter view doesn't quite hide its thickness and height, making its 18-inch wheels look small in their wheel wells. The C-HR's cockpit may be a standout among its competitors, which Toyota says include the Juke, the Honda HR-V, and the Mazda CX-3. (We might also add the Jeep Renegade or the Kia Niro.) The center stack is particularly interesting; Toyota calls the surround that groups the touchscreen and other controls a MeZONE. Minus the cloying marketing-speak, it's an interesting approach that isolates secondary controls in one area. The C-HR's crossover vibe stops with its tall ride height. 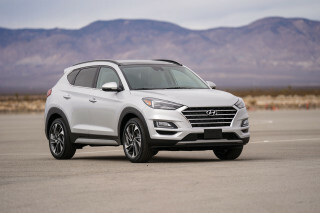 The 2.0-liter inline-4 is just slow, even in the Sport driving mode that gives the continuously variable transmission seven simulated gear ratios and tightens the steering. The weight of 3,300 pounds is just too much for 144 horsepower and 140 pound-feet of torque to move expeditiously. Note that the C-HR sends its power to the front wheels only, with no all-wheel-drive option in the U.S., though it's offered in Europe and Japan. As a member of the Toyota TNGA global-car family (think: Prius), the C-HR has markedly better handling than previous Toyota small cars. The front strut suspension gets Sachs dampers and a relatively thick stabilizer bar for responsive road manners. At the rear, the C-HR employs double wishbones and Sachs dampers. The combination delivers a smooth ride and good responsiveness in city driving, and holds the road confidently in higher-speed corners. The C-HR would be the smallest Toyota crossover, but among its hatchbacks, it's not so petite. Interior space is augmented by well-bolstered sport seats in front, surrounded by lots of storage bins and cupholders. In back, riders sit high, and Toyota has scalloped out the backs of the front seats and trimmed the headliner back to create valuable head room, which is ample front and rear. For more flexibility, the rear seats flip and fold flat along a 60/40 split, giving a fully flat load floor, although the car's height means that cargo deck is at mid-thigh level. All C-HR hatchbacks come with 10 airbags, a rearview camera, forward-collision warnings with automatic emergency braking, active lane control, automatic high beams, and adaptive cruise control. Blind-spot monitors are optional. Three versions of the C-HR are available. The base LE includes 17-inch wheels, an 8.0-inch touchscreen for infotainment, power features, and active safety features. 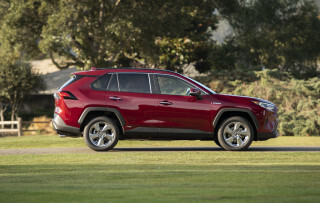 The XLE gets 18-inch wheels, a power driver seat, heated front seats, and keyless ignition. Limited versions add leather and optional extras such as navigation. For 2019, Toyota added Apple CarPlay compatibility for the C-HR. Overall, the car is excellent. Smooth ride with excellent performance. Very comfortable seatings and features. Plenty of storage space. My family and I loved the vehicle.